Karma yoga can bring a beautiful balance to our yoga practice. I was lying in bed in an apartment in South Beach, Florida, reading Meditations and Mantras by Swami Vishnudevananda, when it dawned on me: I don’t enjoy where I am and what I’m doing. Straight away I put the book down and emailed a yoga teacher that I had trained with the previous year. I asked him if I could stay at the ashram for a four month period as part of the karma yoga program. I heard back from him the following day, quit my job, and booked a flight. I was on my way. I arrived at the ashram in early May when the ground was still frozen. There were four other people in the entire place. My previous visit here, for yoga teacher training, had been transformative. I had dropped myself in the deep end; I had barely done any yoga, had no spiritual practice at all and was extremely unhealthy with a host of undesirable dependencies. During the training, the ashram had held over three hundred people, and the energy had been high. Now, in the quiet, cold ashram, I found myself keenly awaiting the arrival of my teacher, who would be here in another two weeks. Slowly the ashram began to fill up, courses were going on, and the staff of four volunteers had extended to around forty-five. Everything was flowing. Participating in the karma yoga program meant that you could stay at the ashram, your food and basic accommodation were provided, and you were required to do service to help the ashram to continue to run smoothly. As is often the case in volunteer organisations, the amount of work and jobs that needed to be done outweighed the number of staff to do the tasks at hand. I found myself happy to be busy, and strangely I found that going from a highly paid job to being not paid at all, and working harder, was refreshing. I felt more satisfied and content with what I was doing. But as time passed, my role had seemed to become more and more loaded with work and responsibility. I had very little time for my hatha yoga practice, and I found that if I wanted to get any practice in at all it had to be at four am. This would allow me two hours before meditation after which I would be in the kitchen for four hours, then working on the grounds and maintenance up until six pm, squeezing in time to assist teaching on the teacher training courses in between. Something started to bug me. I felt like I was working twice as hard as anyone else; I always got given so much more to do. I began to get annoyed that I didn’t have much time to do my hatha yoga practices. I was still relatively new to yoga; I felt that my body was still really stiff and that a lack of practice was not helping my cause. I decided to bring this up with my teacher and to ask for a more realistic time frame to be able to do my practices. I still clearly remember the response I got. Hatha yoga alone will not make you flexible, you need more karma yoga, and to understand karma yoga will make you flexible. Right now you look, from the outside, like you are working hard, like a great karma yogi – but inside your ego is fighting, it wants acknowledgement for the work it’s doing, it thinks it shouldn’t have to work this hard. When you work selflessly, your ego is not involved. Karma yoga burns your ego. When the ego is no longer present, you become more peaceful, more in tune with your true self. A flexible mind brings about a flexible body – this is why you need more karma yoga. For two weeks after this, I was also given jobs to do before morning meditation. I reflected on this, but in all honesty, it took me quite some time to really embrace everything my teacher had said. One thing I was able to do was to make a conscious decision to completely let go of all my preconceived ideas about what I wanted to happen here and to let go of my desire to practice more yoga asanas. The other commitment I made to myself was, instead of avoiding extra work or duties, to choose to embrace every bit of work that came my way. This process of surrendering to where I was and what I was doing was liberating. There was no longer resistance; the ego gave way for something more productive – peace. During this year, I spent nine months in Ashrams in Canada and India. By the end of this time my body had changed so much – I was not holding on to all the tension that had been stored up from my ten years working as a chef. Everything was more open and free, and it was the first time I really understood that the body and the mind are two sides of the same coin. Since then the lessons of karma yoga have always continued to deepen, as we pass through one challenge another one comes along, and this is how we evolve. Karma yoga is everywhere in life, and it is part of the natural process of caring for humankind. What I have learned is that karma yoga is a practice. It is an extremely important part of spiritual development and life as we know it. When we move through life thinking of the welfare and benefit of others rather than our needs and desires it is a sure path to inner peace and happiness. As yogis, we need karma yoga as there is often a tendency —especially in my case—to become very selfish with our time. Karma yoga brings about a beautiful balance to our practice. This is why I love the philosophy of my teachers—it is fine to focus on one main aspect of yoga, but you should also incorporate a little bit of everything else: hatha yoga, meditation, study and philosophy, devotion and service. Ram is a Sivananda trained teacher and as such has a firm foundation in the traditional aspects of yoga. He has spent many years volunteering time in ashrams around the world and studying with many great teachers. 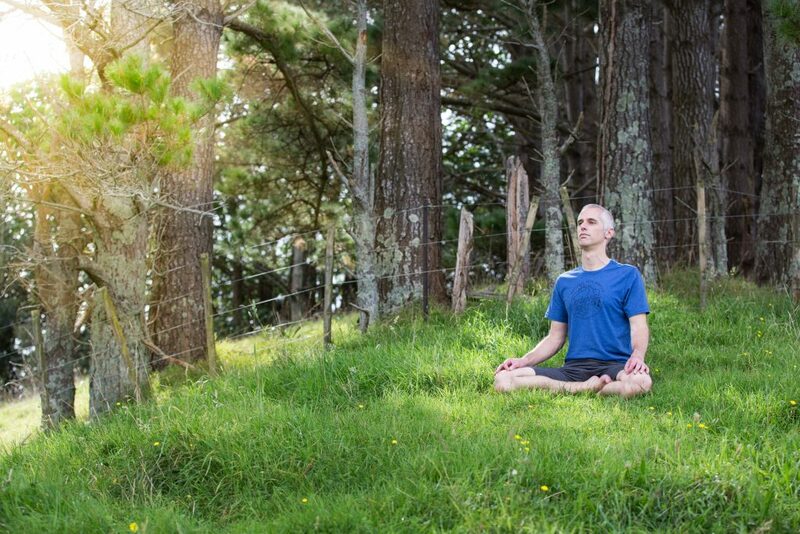 He established the Sivananda Yoga centre in New Plymouth in 2007 and focused on this for 10 years. He now with his wife Bhavani is establishing the Sanctuary Hill Yoga and Retreats centre to help people experience yoga and wellness on a deeper level. 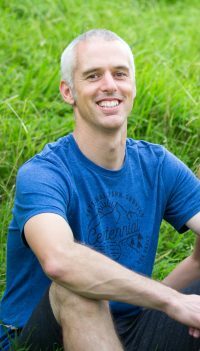 “We really want to share how to live in a happy and healthy way; we couldn’t be more excited to be guiding people on retreats to help them experience the peace and happiness that is within each of us. Thanks for your inspiring article!! This may well be the most important yoga concept of all! You’ve expressed it beautifully, too. Thank you so much.